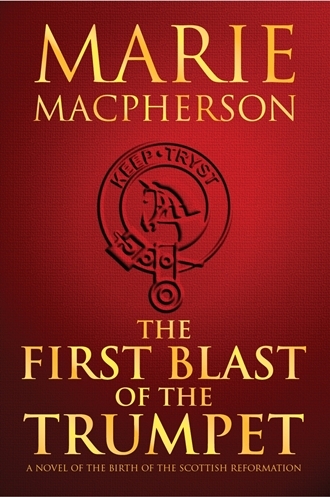 A few months back, I wrote a post on “Difficult Characters.” It’s hard to imagine a more difficult character than John Knox—who in the words of Marie Macpherson, the author of The First Blast of the Trumpet (Knox Robinson Publishing, 2012) and the guest featured in my latest interview for New Books in Historical Fiction, gets credit for “banning Christmas, football on Sundays,” and more. Knox was the driving force behind the Reformation in Scotland, the sixteenth-century version of a born-again Christian who fell under the spell of a charismatic preacher, George Wishart, and carried on his mentor’s crusade to reform the Scottish Church after Wishart was burned at the stake for heresy. In doing so, Knox risked coming to the same end, but he pressed on, undeterred, and eventually triumphed. Committed zealots, indifferent to if not actively seeking martyrdom, are never comfortable for the rest of us. We might consider them the epitome of difficult characters. But for that very reason, they enliven our fiction. As readers, we get to admire their devotion despite the sneaking suspicion that we would be in their figurative gun sights if we ever ran into them in person. And the effort to understand them enhances our appreciation of the human condition as a whole—which is, ultimately, the purpose of fiction. John Knox left almost no information about his life before the age of thirty-three, when he was already a major figure in the Reformation. Perhaps he consciously or unconsciously imitated Jesus, of whose childhood and youth we know little. Perhaps he had something to hide. Perhaps he simply saw his own past as irrelevant to the overwhelming importance of his mission. We will never know. But Marie Macpherson has done a wonderful job of imagining Knox and his world. You can find out all about her approach, the historical characters whose lives she re-creates (and in some cases re-imagines), and the research that went into her story by listening to our interview. As always, the podcasts are free to listen to and to download. 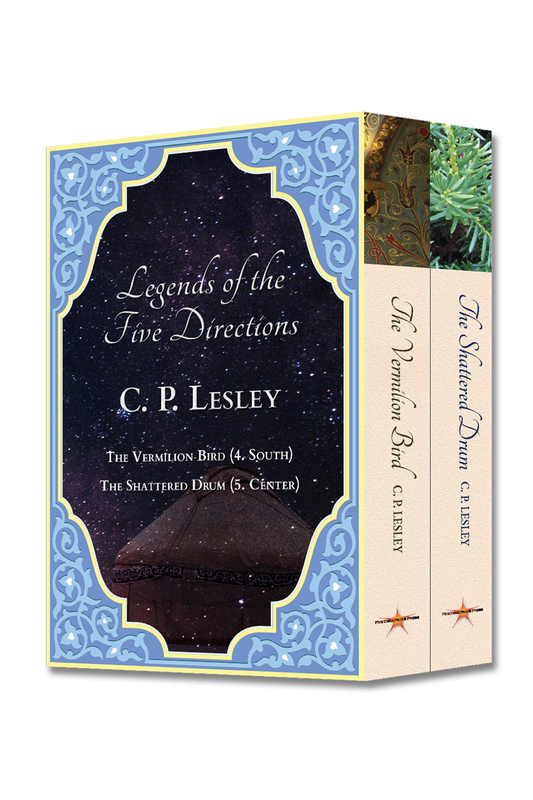 And for a quite separate interview exchange about Five Directions Press and Triskele Books, another writers’ cooperative based in the United Kingdom, see “Five Directions Press—Author Collectives I.” I will repost both sides of the exchange here next Friday. In last week’s post I talked a bit about medieval women in Russia and the lands to its west. I thought I’d exhausted that subject. 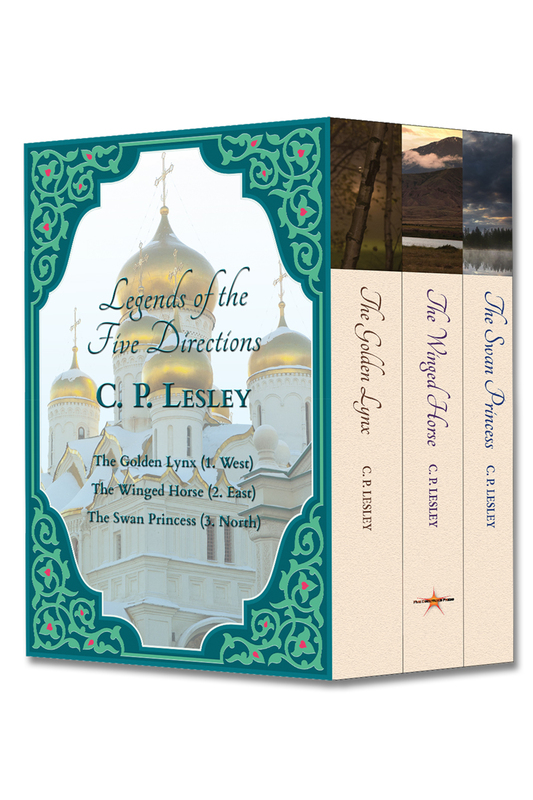 But while conducting my next New Books in Historical Fiction interview (on which, more next time) and in conjunction with finishing Anya Seton’s Katherine, which I mentioned in that prior post, I realized that I had completely omitted another option available to medieval Christian women, both Catholic and Orthodox—one that the Reformation, for all its benefits, took away. This option was life as a nun or an anchoress. The appeal of the religious option may not be obvious at first glance. Did nuns not swear obedience to their order? Did they not endure the dominance of the male clergy, all of whom had greater prestige and religious authority simply by virtue of bearing a Y chromosome (not that anyone in the Middle Ages had ever heard of a chromosome)? Did they not live in poverty and chastity as well as obedience? Yes, they did, at least some of the time. But in a world where marriages existed to secure economic and political alliances, people thought nothing of wedding a teenage girl to an elderly roué, affection appeared after the ceremony if at all, the absence of reliable contraception ensured a steady stream of infants, and about half the married female population died in childbirth or from complications of pregnancy and labor, the attractiveness of life in a convent—surrounded by and under the immediate rule of other women, free from the everyday demands of men and infants—could not be denied. Moreover, medieval convents were a good deal laxer than the modern variety. The Church as a whole was a good deal laxer in Catholic Europe, where sinners could buy their way out of Purgatory through indulgences and donations to the right saints and shrines. Convents were places for stashing the unmarriageable daughters and unwanted wives of the nobility. Nuns brought dowries to their future homes. That was how convents maintained themselves, together with donations of land and cash from grateful supporters. The better the dowry, the better a nun’s chances for admission to the convent and advancement afterward. Some convents refused to accept women of moderate or limited means. And although nuns tended to prize their vows of chastity more highly than priests and monks, romantic interludes (and the resultant scandals) were not unheard of. Convents also entertained exalted female guests—ladies who did not take the veil but retreated for a bit of peace and quiet (and, no doubt, relief from importunate husbands and rowdy children). Women could undertake pilgrimages, like the Wife of Bath in Chaucer’s Canterbury Tales—a lesser commitment than donning a nun’s habit, perhaps, but no less heartfelt. The rare woman might choose to become an anchoress, shutting herself away from the world in a small cell and living on the bounty of those around her. 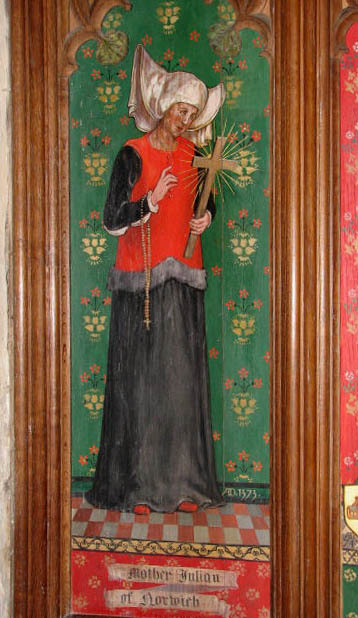 Perhaps the most famous of these in the English context is the 14th-century Dame Julian of Norwich (pictured above), the author of Revelations of Divine Love. She appears in Seton’s Katherine, guiding the heroine along the essential part of her journey toward self-realization and mature love. The journey itself may not perfectly encapsulate a 14th-century sensibility, but Katherine’s focus on salvation and repentance gives an intriguing glimpse into a path to self-fulfillment not often embraced by modern Western culture. None of this is intended to undercut the true vocation of nuns and other religious women then and now. No doubt the lives of anchoresses, pilgrims, and nuns contained many hardships and much testing of faith. But it is also worth remembering that convents and even the isolated cells of anchoresses offered a rare opportunity in the pre-modern world for women to acquire an education, define a mission for themselves, and exercise power and responsibility over their daily lives. This post wraps up my mini-survey of medieval women, on and off the steppe. Next week, on to something new! Image of Dame Julian of Norwich © 2007 Evelyn Simak, reused under a Creative Commons Attribution-Share Alike 2.0 Generic license. From the Church of SS Andrew and Mary, photographed as part of the Geograph Project. When I posted “Women of Steel” a couple of months ago, I promised to write a comparative post about European women in the sixteenth century—Russians and those who lived to their west. Here, even more than with the nomads, the popular perception portrays women as downtrodden creatures, lacking in rights. But is that true? To a large extent, yes. A bit less so in Russia, where women had the right to own property, retained control over their dowries, and could sue men who raped them in court. Otherwise, their situation differed little from their sisters who lived farther west. There, even great heiresses became wards of the king, bound to accept his whimsical disposition of their futures. Girls owed obedience to their fathers or guardians until they married, then to their husbands. Marriages were arranged by parents or, if a girl had no parents, by her lord or the king, depending on her social standing. Chastity and submissiveness were the virtues expected of women. Book learning had little place, especially for females—assumed to be incapable of rational thought, prey to wandering wombs and the temptations of Eve, with minds barely superior to those of animals. These women would have found Gulbadan’s level of freedom intoxicating, even though nomadic girls did not pick their marriage partners either. Love as a component of marriage concerned few people until the mid-nineteenth century; before then, economics and politics determined most matches. People hoped, at best, that affection would grow between a couple over the years. Sometimes it did. Just as often, it didn’t. One’s place on the social hierarchy mattered, of course. Poverty constrained men as well as women. Knights had to follow the dictates of their lords; sons adopted the professions of their fathers. Only those at the very top determined their own destinies, and then only in part. But men had permission to take out their frustrations on their wives and daughters. Throughout Christian Europe, wife beating was common and rarely viewed as a crime. Women had no right to retaliate in kind. Most of the time, no one listened if they complained. Only if they died might the courts take notice, and that was far from guaranteed. This experience of womanhood finds full expression in Anya Seton’s novel Katherine, published in 1954, which I happen to be re-reading for a Goodreads group. 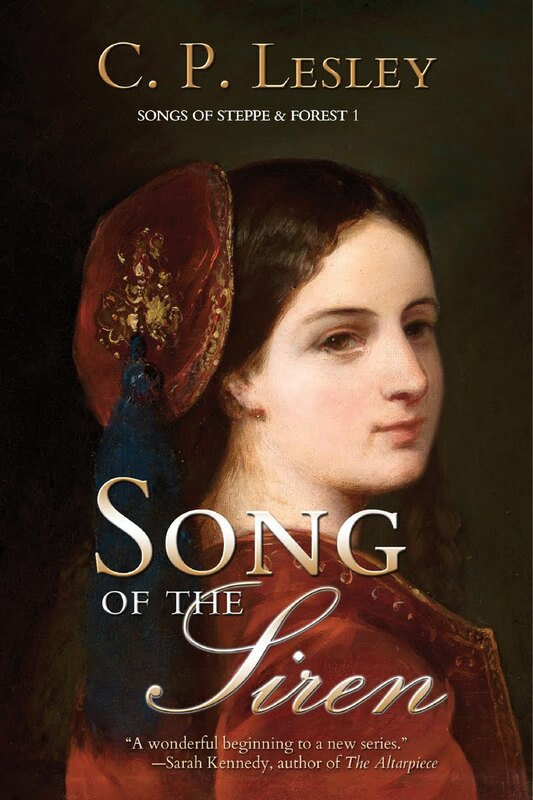 Rich in historical detail and with an appealing, ill-done-to heroine, Katherine captures the full panoply of injustices committed against a woman of moderate means—in this case, in mid-fourteenth-century England. Fifteen when the novel begins, Katherine endures marriage to a man she does not love and such extreme poverty, despite being a knight’s lady, that she cannot change her dress for six months. John of Gaunt, duke of Lancaster, eventually rescues her and makes her his mistress. 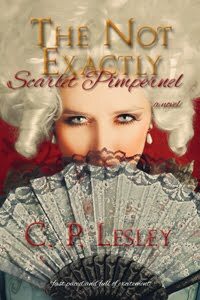 Her inability to care for herself pays off in a brighter future of love and affluence, if tarred by the impossibility of marriage to her exalted lover. But how many women lived only the first half of her life? Stories like these are the reason why I put off writing my Russian novels for so long and, when I did turn to them, decided to make my heroine a Tatar instead. At the same time, Katherine reveals the hidden flaw in the conventional view of medieval and early modern European women. The ones most vulnerable were the young, the single, and the poor. Despite the many disadvantages under which they labored, elite wives throughout Christian Europe ran their households alone while their men were at war. Since medieval and modern Europe spent more time at war than at peace, crusaders could disappear for a decade, knights for months or years. In an age when medicine killed more than it cured, many warriors who left returned in coffins, if at all. In the lord’s absence, the lady of the house had complete control over an enterprise that might involve several hundred people engaged in numerous different trades as well as agriculture and husbandry: a small corporation, if you like. Even husbands in residence did not concern themselves with the running of the household—disdainfully dismissed as women’s work—although they might sit down with the bailiff long enough to plan the crops or wring a few more gold coins out of the estate for a new set of armor. Wealthy widows enjoyed considerable power and seldom had anything to gain from remarriage. Natalya, Daniil’s mother in The Golden Lynx, is this kind of woman. In the days of female employment outside the home, we have forgotten the luster that once clung to the word “housewife,” but Natalya reminds us of its lost glory. She may pay lip service to the idea of female subservience. She may seek guidance from her priest and refrain from arguing (much) with her husband. But she does not hesitate to rule her children, her daughters-in-law, and her servants. She does not doubt her skills for a second. Amid a society determined to breed women like Katherine, Natalya is evidence that another model nonetheless thrived. 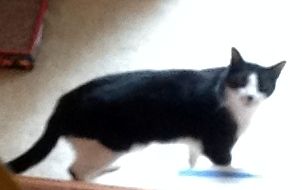 So let’s raise a toast to the lady of the house. After all, that’s her mead you’re drinking. 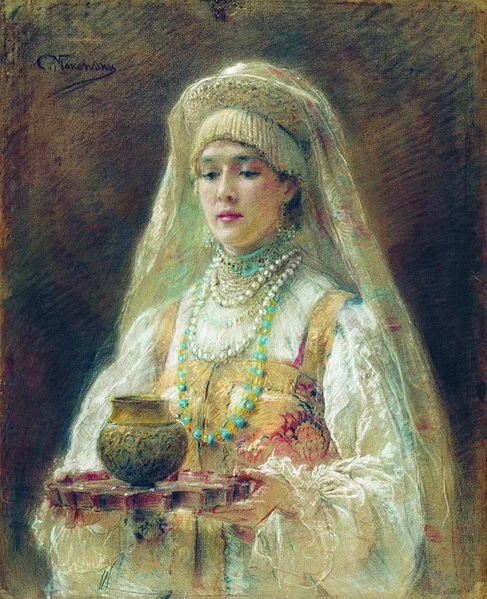 The picture at the top is Konstantin Makovskii's Cup of Mead, painted in the 1880s. It is in the public domain in the United States because of its age. In honor of Independence Day, which we here in the United States celebrated yesterday, I thought it might be fun to explore different concepts of freedom. As a student of the steppe peoples, I recognize that the word “freedom” doesn’t leap to mind in connection with Genghis Khan. On the contrary, Genghis represents pretty much the antithesis of freedom to most Westerners. Yet his people—and his descendants—regarded themselves as free. By their definition, moreover, we might be considered unfree. Whereas they could pick up their houses at any moment to follow their herds, we remain in one place and with one company for years and move, if we move at all, from one walled location to another. Whereas they lived in small camps that coalesced only for brief periods into larger units and changed leaders as seemed best to them, making rules that met the needs of the moment, we pledge allegiance to large states and to standing governments that enact laws that we are then bound to uphold whether we like them or not. As voters, we do influence policy, but mostly in election years. We elect leaders to represent us; theirs often took power by virtue of their genealogy—most notably their descent from Genghis Khan—and by acclamation. But the steppe peoples, too, had councils of elders who decided their tribe’s future and voted to support this decision or that. We use ballot boxes to cast our votes; they used horses—riding in to attend a council, riding off if they didn’t like the results. 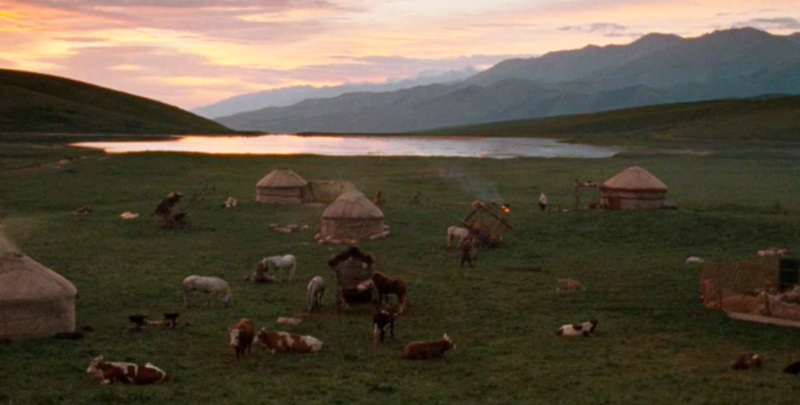 When, in Sergei Bodrov’s film Nomad, the tribal leader Barak says, “We Kazakhs have always been a free people,” he means that he owes allegiance to no outside force. Minutes later, he and half a dozen other leaders jump on their horses and go rather than agree to unite against a common enemy. Even in a grand quriltai (intertribal council), the would-be khan issued invitations. Potential allies voted by showing up. Those who remained unconvinced stayed away. If no one attended, the khan’s hopes fizzled. Except for one thing. The steppe is vast and sparsely populated, land that can support large numbers of animals but only if they spread out—beautiful but stark, arid as the hills of northern California. Few individuals could muster the energy, never mind the resources, to control this enormous area with its many disparate and unruly tribes. And since all leadership was personal, the despotic authority of a successful khan dissipated on his death. The tribes could choose a new leader, but that new leader had to form alliances, fight off contenders, escape assassination attempts, and keep supporters happy with raids and plunder until he (more rarely she) emerged victorious with a coalition mighty enough to establish another transitory empire. The whole process took years. Together with the concept of fictional kinship and the consequences of polygamy, which I’ll address in other posts, this political system forms the backdrop to The Winged Horse (and, no doubt, later books in the series). Meanwhile, the clan and tribal elders jockeyed for power and kept their eyes peeled for alternative candidates. If they didn’t like what the new leader had planned, they packed up their tents, mounted their horses, and left to support another descendant of Genghis or just to hang out in the steppe until someone made them an offer they couldn’t refuse. This choice—to stay or to go—the steppe peoples regarded as freedom. Paradoxically—and I am indebted to Fletcher for this insight—what turned the steppe system from raw democracy mixed with intermittent autocracy into despotism proper was the imposition of the grand khan as a rulership model on settled peoples. The Ottoman empire and, for the most part, early modern Russia were states with large peasant populations—people who, like us, lived in houses and hence could not simply pick up and go when they didn’t like what was happening. The escape valve of the steppe closed, and the ability to pick the leader to whom you owed absolute personal loyalty (until s/he died or you changed your mind) became instead the requirement to fulfill without question the demands of a monarch who ruled by divine right (Russia) or after eliminating all his rivals (Ottoman Turkey). Those monarchs did not rule by acclamation, and they did not need to recreate their alliances with each generation. And so, on this Independence Day weekend, it seems worthwhile to me to appreciate the gifts that our forefathers (and foremothers) gave us while acknowledging that other systems, very different from ours, can also define liberty in ways that we can recognize, even if we don’t subscribe to their values or want their particular form of freedom for ourselves. Isn’t that, in the end, what fiction is for—to allow us to experience the lives of others, so that we can grasp the extraordinary beauty and diversity of our world? *Joseph Fletcher, “Turco-Mongolian Monarchic Tradition in the Ottoman Empire,” Harvard Ukrainian Studies 3–4 (1979–80), pt. 1, 236. Fletcher’s article gave me the idea for this post. Fotopedia is currently hosting a lovely photo essay on the steppe, “Kyrgyzstan: Nomads on Top of the World,” by Lekkertrekken.nl. You need not be a member to see the story, but note that the photographer has reserved all rights to the pictures.